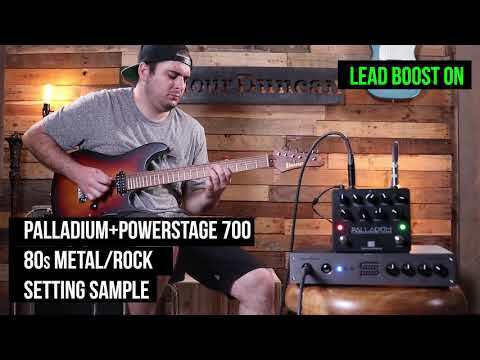 PowerStage 700 is a revolutionary power amp designed specifically for guitarists using modelers, pedals and effects processors to create their tone. The PowerStage™ 700 is a game-changing product for guitar players that want uncompromising tone in a compact power amp. Maybe you love your tube amp but don’t want to lug it around. 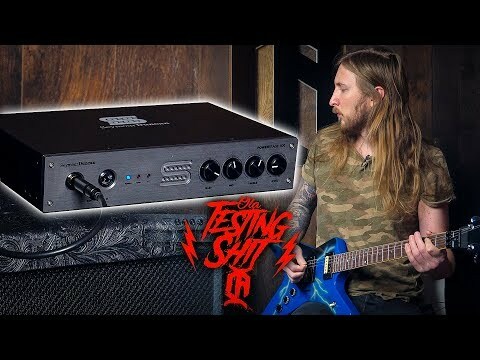 Or you use a modeler that has a ton of functionality but doesn’t sound as good when hooked up to your existing amp or direct to the PA. Perhaps you have the ultimate pedalboard and just need a better way of amplifying or running it direct. Do you dread fly dates or gigs because you’re never sure what your backline will be? PowerStage is the answer, whether you’re playing live or recording in the studio. When you create your tone from a modeler, pedals or effects processor, what you want is a clean, transparent power source that brings your tone to life. With PowerStage, you can bring your whole rig to the gig without compromising your sound, breaking your back or draining your bank account. The PowerStage 700 is the perfect companion for the current crop of amp modelers and effects processors. With discrete stereo ins and outs you can reproduce your carefully crafted amp sounds in massive detail, with power, clarity and a warmth that will take even state-of-the-art modeled tones to the next level. And with the True Cab Circuitry (TCC)™ on the XLR line outputs, you can send your tone direct to the front of house—with all the feel and response of a speaker—even as you monitor through a cabinet onstage. Another huge benefit of the PowerStage is its musically voiced 3-band EQ. This allows you to fine-tune your sound, quickly and with precision, without scrolling through menus or editing patches. Such a powerful and intuitive tone shaping tool at the very end of your signal chain makes it easy to maximize your tone for any situation. For guitarists who use pedals to create their sound, PowerStage is the missing link in your signal chain. Run your favorite distortion pedal into PowerStage and then simply bypass it and let it become your ultimate clean channel, turning any pedal combo into a two-channel amp that delivers your perfect tone. And it can plug into any cabinet at any impedance anywhere in the world, thanks to its versatile 100v-240v power supply. The benefits extend well beyond live gigs. In the studio, it can be your secret weapon. By using the XLR outs, you can plug your pedalboard into the PowerStage and all of your impedance issues will disappear. This allows you to run your pedals straight into your DAW—with full speaker simulation – no mics required! With its stereo operation, you can send your pedalboard into one channel and then run the other side completely dry into another, facilitating complex layers, reamping and more. Think about it: a powerful, portable, musical tool that can prevent headaches and backaches, onstage and in the studio. Whether you use pedals, modelers or anything else to get your signature sound, the PowerStage 700 will let you amplify it in a clean and toneful way. This is your tone, only louder. Like our award-winning pedals, the PowerStage 700 is designed and assembled at our Santa Barbara, California, factory by the same team responsible for our legendary pickups. PowerStage 700 is a powerful, yet compact, power amp designed for guitarists using pedals, modelers and effects processors to create their tone. 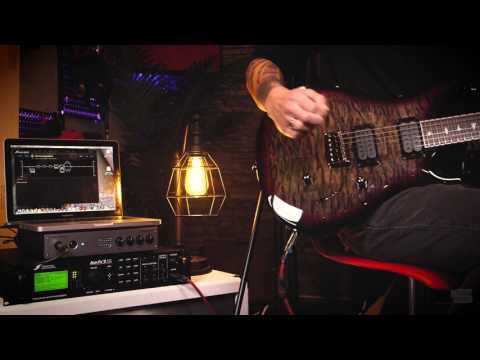 Hear Mark Holcomb describe why PowerStage made him look at power amps in a different way. Trying out the Seymour Duncan Powerstage 700 Poweramp with the Revv G3 and Pepers Pedal Fury 158.